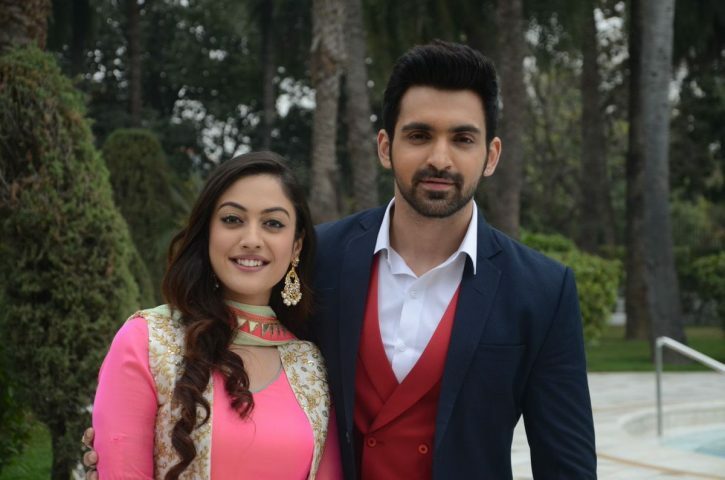 In Kaleerein, Meera struggles with her blindness. She feels sorry for herself. She can’t accept such shocking change in her life. She goes to light diya in temple. Meera lights diya and gets her hand burnt. She cries and gets Dolly’s support. She tells Dolly that she can’t live this way. Dolly and Meera have an emotional moment. Dolly encourages her. Meera depends on others since she can’t handle her life alone. She gets a bouquet. She thinks Vivaan has sent the gift for her. Sunny meets Meera and asks her how did she like the flowers, if she can see the colour of the flowers, or can just feel it. He gets taunting her over her blindness to break her down. Dolly and Amar meet a fortune teller at the temple. The lady tells them that Meera has a huge danger over her, death can reach Meera anytime. Dolly cries in worry. She asks the lady for some solution to save Meera. She gets some remedy and rushes home to Meera. Danger really reaches Meera. Sunny slaps Meera and hurts her, knowing she can’t defend herself now. He drags her out of the room. Meera struggles to get free. Will Vivaan reach Meera to save her from Sunny’s tortures? Keep reading.